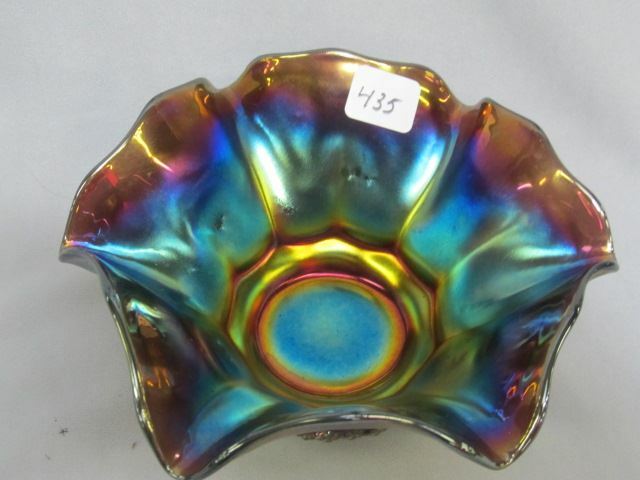 A seldom seen pattern–only a few have sold at live auction in the last 15 years. 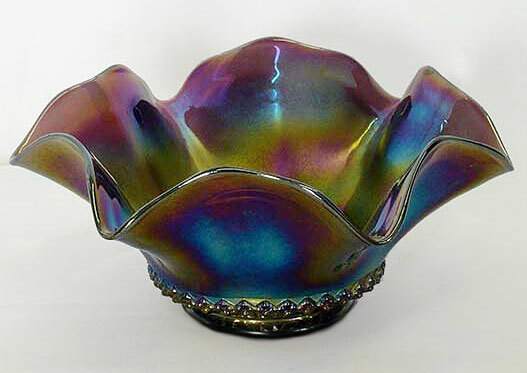 They include these three examples. 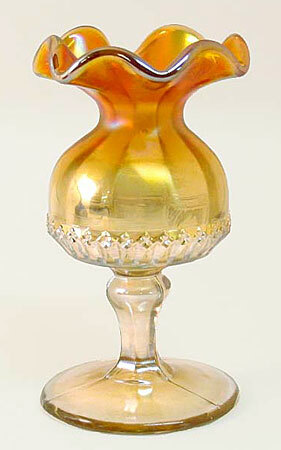 Upper left: A stemmed spittoon-shaped compote in marigold (photo courtesy of Mickey Reichel). 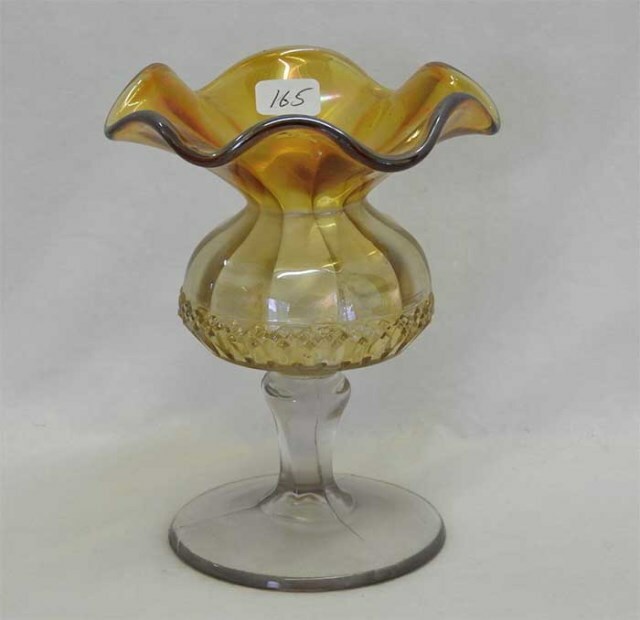 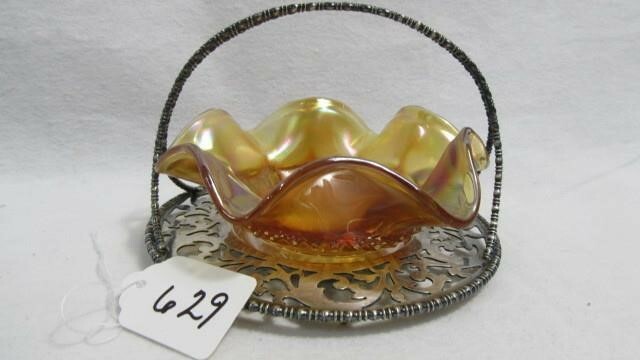 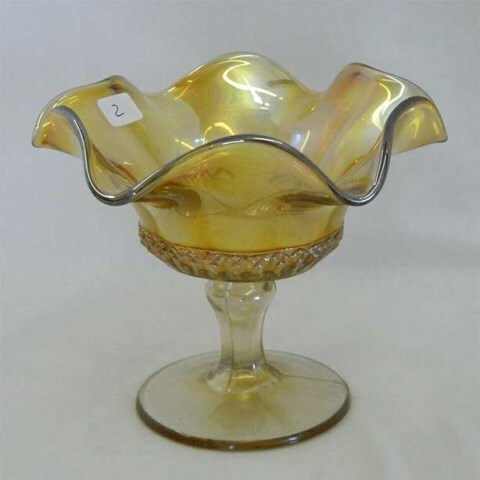 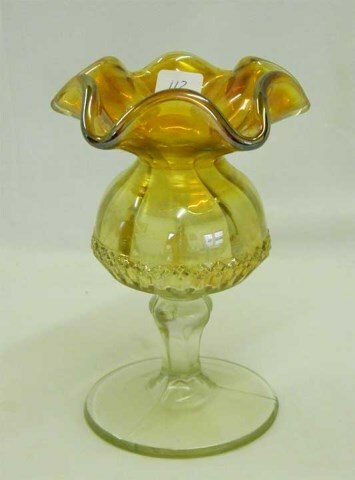 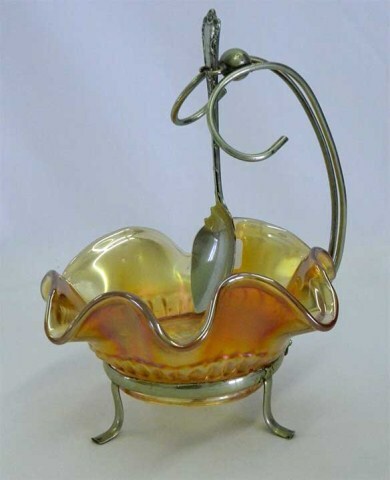 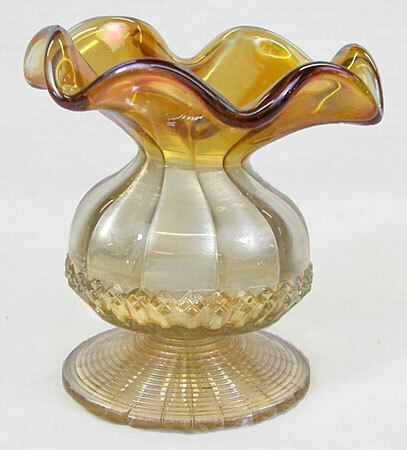 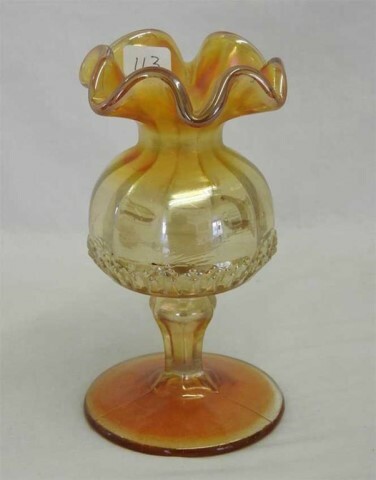 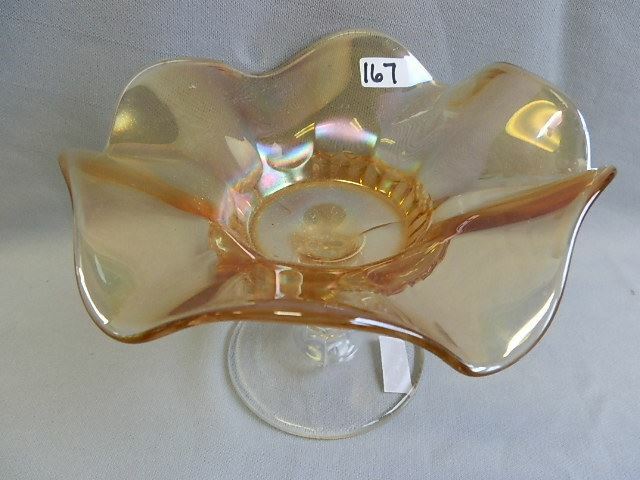 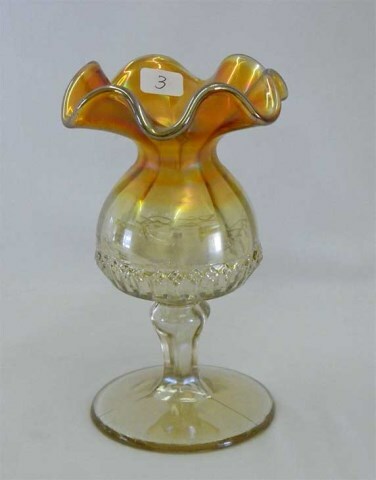 Center above: A spittoon shaped vase in marigold that sold for $30 in 2010 (photo courtesy of Wroda Auctions). 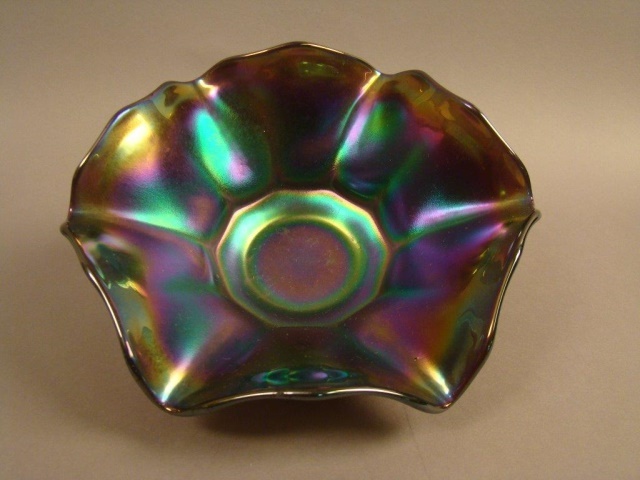 Shown on the right: A purple 7-inch bowl. 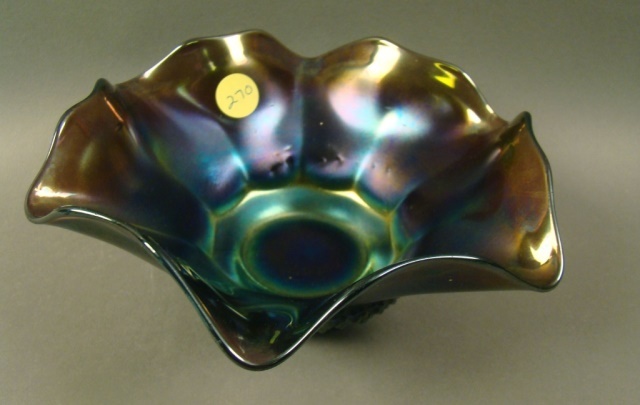 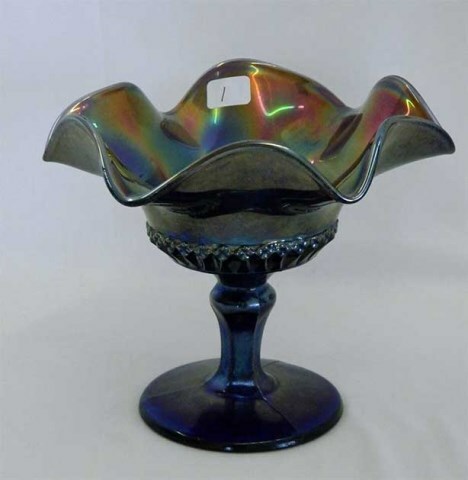 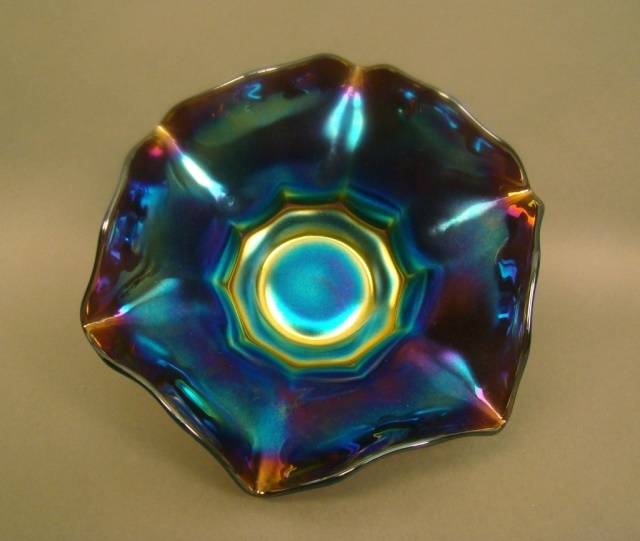 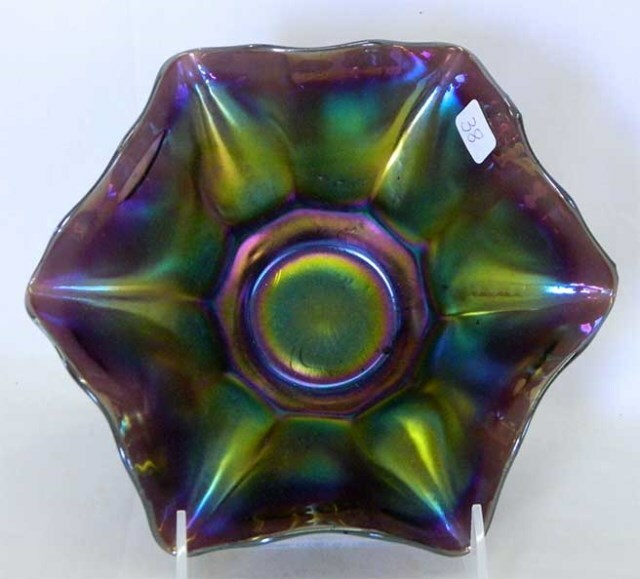 Note that this variant bowl does not have the usual fluted sides (photo courtesy of Seeck Auctions).